Ask a travel agent about the most rewarding part of their job, and you’re bound to hear a story about how they make holiday dreams come true for clients, reports assistant editor, Ann Ruppenstein in this week’s digital edition of Travel Courier. Whether it’s a hot air balloon ride in Cappadocia, a trek to Machu Picchu or a family getaway to Florida, at the very core, travel advisors help turn bucket lists into reality. 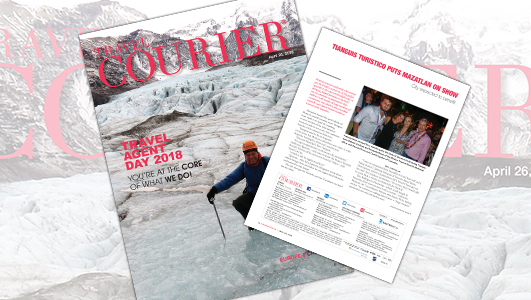 This year, in honour of the seventh annual Travel Agent Day – which falls on the first Wednesday in May – we reached out to tour operators across the country to nominate deserving candidates to be featured in this very special Travel Agent Appreciation edition of Travel Courier.